To view the eight-page program for this event (bilingual), click here. To watch a slide show of photos from the Dedication, click here. 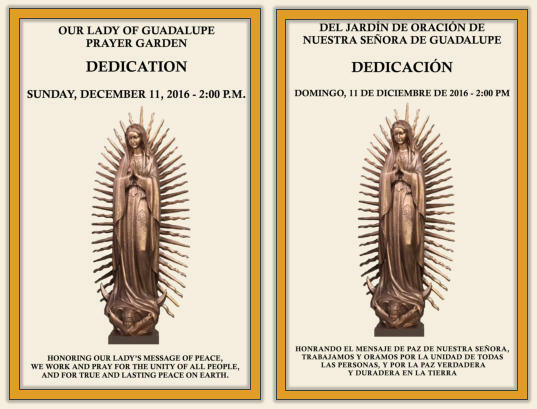 The Prayer Garden was officially dedicated - after two years of planning, fund raising and construction - with a blessing ceremony Sunday afternoon, December 11, 2016 by Santa Rosa Bishop Robert Vasa. For details of planning for the Dedication event, click here.